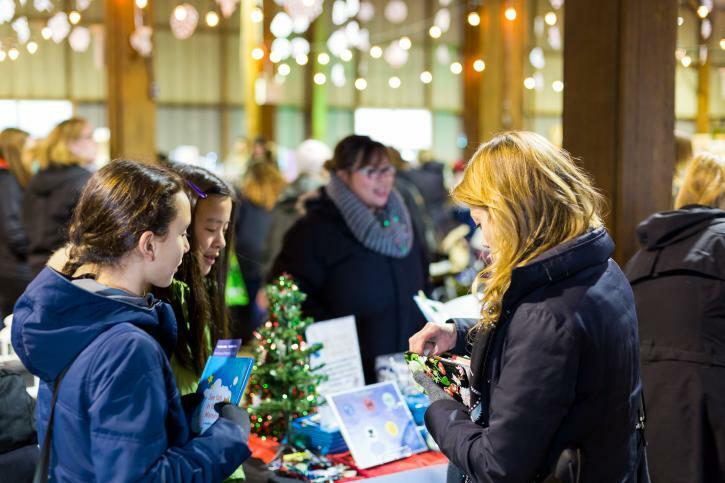 Festive fans from around the Lower Mainland will be flocking to Steveston Village this holiday season for a sparkling array of special Christmas events, activities, and attractions. A one-stop-shop for Yuletide fun, the charming village is hosting dozens of festive activities for locals and visitors keen to dive into the spirit of the season. From caroling and artisan markets to richly decorated National Historic Sites—and even appearances from Santa himself—there’s a glittering array of free or low-cost holiday happenings here from the third week of November onwards. Ready to plan your activities for the most wonderful time of the year? Read on for our exclusive insider’s guide to Steveston’s Winter in the Village. You can step into Christmases past at several of Steveston’s celebrated heritage attractions. Over at Britannia Shipyards National Historic Site, the attraction’s many seasonal enticements—all detailed below—are underpinned by evening illuminations adorning many of the site’s heritage buildings. The Steveston Museum will be in a full-on festive mood as well, decorating its adjoining tree-lined green space with its twinkling Lights in the Park illuminations. A short walk away, Steveston Interurban Tram is always worth visiting. 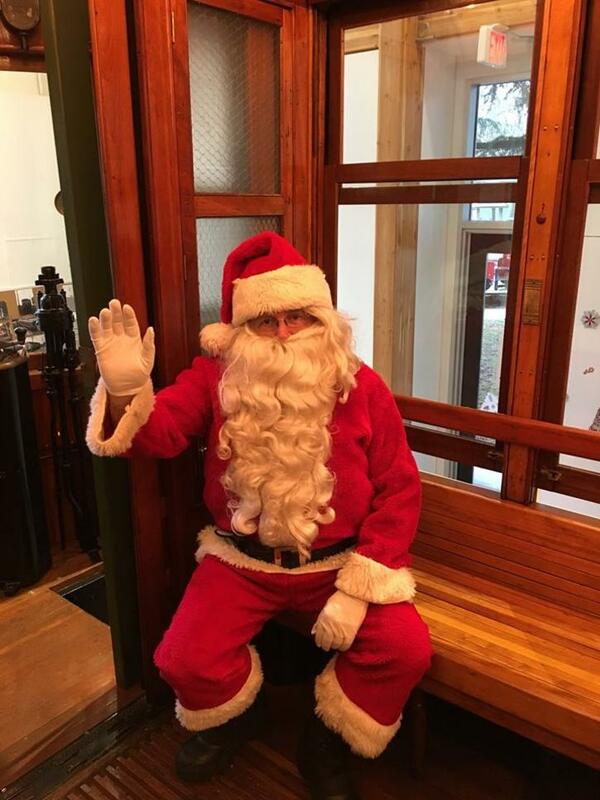 But on December 1, you can check out its free, family-friendly Winter Tram event, complete with craft activities, seasonal refreshments, and an appearance by Santa. 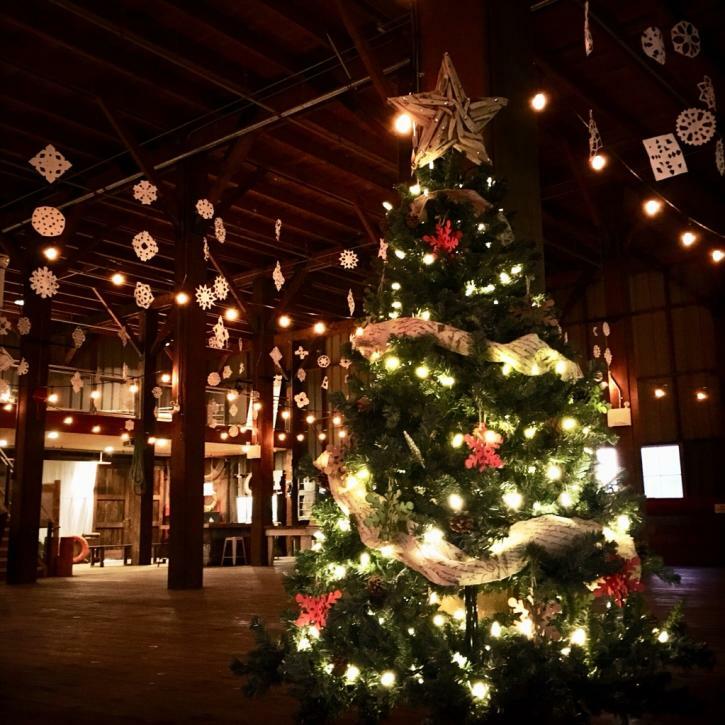 Running throughout December, the Gulf of Georgia Cannery National Historic Site will be hosting its sparkling Festival of Trees, complete with dozens of inventively decorated displays dotted among the site’s evocative museum exhibits. The bearded wonder will be a busy man in Steveston this year. You can join him for Breakfast with Santa at the Steveston Community Centre on December 2 (book ahead here) while—on the same-day—crowds will gather to see him sailing up to Fisherman’s Wharf on a whale-watching boat, before holding court at the Cannery. If you and the kids can’t make December 2, visit the Steveston Museum anytime from November 20 where the kids can write letters to Santa for free. Consider combining this with a December 6 or 7 visit, when the village is hosting its old-fashioned Winter Hayrides. Or check out another kind of bygone transport on December 2, when the Christmas Classic Car Cruise rolls in with a parade and display of vintage vehicles. There are lots of additional reasons to bring the kids here this season—especially if they’re feeling creative. 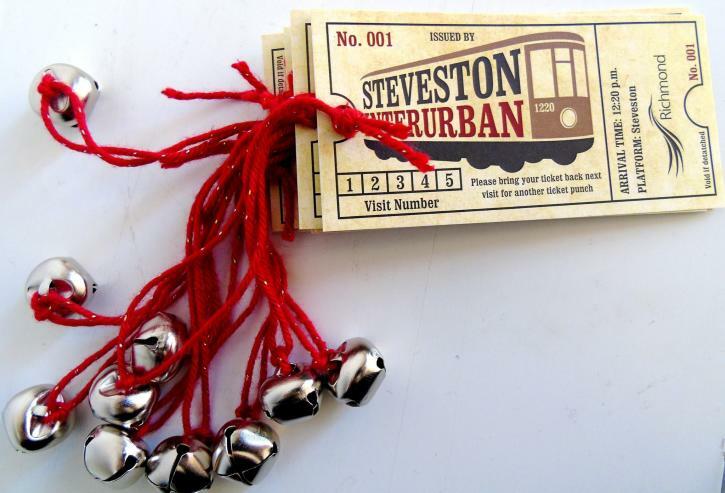 The Steveston Interurban Tram is hosting free daily holiday craft activities throughout the festive period, while people of all ages are invited to tap their holiday creative juices at Britannia Shipyards which is hosting free Wooden Ornament Decorating every day from November 20. But if your idea of crafting is to let someone else do the work, don’t miss a couple of highly anticipated holiday fairs—perfect for finding new decorations for your tree or unique gifts for those stubborn holdouts on your present list. 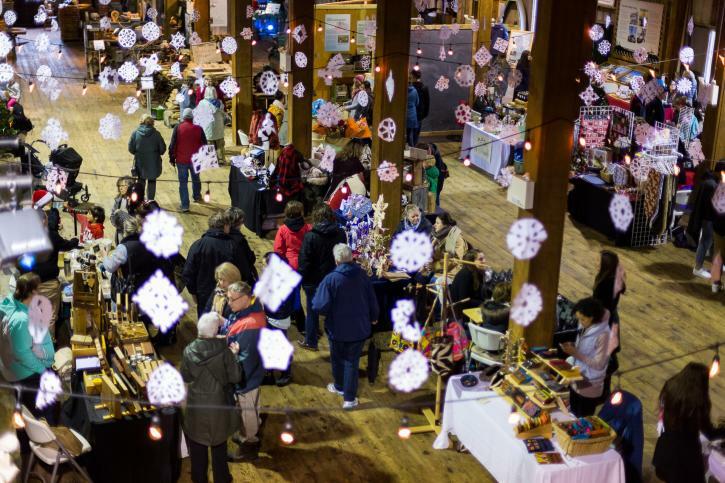 Give yourself plenty of time to peruse the 160+ stalls at the Christmas Craft Fair in the Steveston Community Centre on November 24, then return on December 1 for the Heritage Christmas Craft Fair, taking place in several of Britannia Shipyards’ historic buildings. You’ll also find locally made arts and crafts—plus delicious treats—at the Gulf of Georgia Cannery’s ever-popular Cannery Farmers’ Market. A Christmas shopping hot spot, free entry to this National Historic Site is included for market day visitors—which means you can also snap some cool Festival of Trees selfies as well. In the run-up to Christmas, the market operates on December 2, 9, and 16. But if you still need some gift shopping assistance—and you want to have fun while you’re doing it—two Winter in the Village events are a must. Gather your girlfriends for Girls’ Night Out on November 22, a special evening of late-opening stores and festivities for women-only. And for men requiring holiday shopping help, there’s a Guys’ Night Out version on December 13—which is usually about the time some guys start panicking about Christmas gifts. Along with gift shopping, music is also a huge holiday tradition. And Steveston’s Winter in the Village calendar includes a host of performances guaranteed to immerse you in the Yuletide mood. Running on December 1, 8, and 15, the heartwarming Songs in the Snow is a free-entry afternoon event where local choirs and community groups sing festive songs while visitors enjoy seasonal refreshments and nostalgic activities. It’s not the only way to catch a tune or two in the village. Britannia Shipyards is the evocative backdrop for classical guitarists Louise Southwood and Stanton Jack’s Winter Concert on December 2 as well as Steveston Folk Guild’s final show of the year on December 13: a night of toe-tapping Latin American fiesta music from Sangre Morena. But when carols come a’callin, don’t miss the Four Calling Birds Christmas Caroling Quartet, a feast of free early evening Yuletide concerts at the Steveston Interurban Tram on December 14, 19, and 22. A richly warming slice of classic and modern holiday songs, it’ll have you grinning like a happy elf and singing all the way home. Parking is available in and around Steveston Village but there are also excellent transit bus services throughout the day: visit the TransLink website for trip-planning resources. And if it’s one of those sunny winter days, consider biking it: the village is well connected to several scenic cycling routes and trails.